Sweet 15's and Sweet 16's call for special attention to detail and these frames are the perfect favors to adorn your event tables! Be girly and gorgeous and make your event match your style! 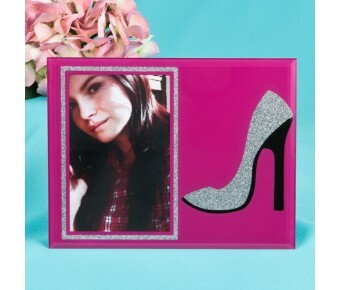 Our fabulous bling frame comes in a trendy hot pink color with a silver glitter trim. 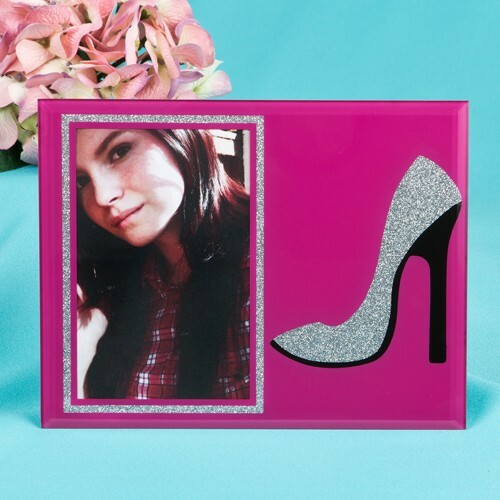 This frame from Gifts By Fashioncraft, is crafted from beveled glass and holds a vertical 4 x 6 photo surrounded by a glittering silver border. A stunning high heel shoe in silver glitter with a black contrasting heel adds the perfect finishing touch. 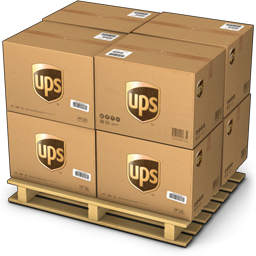 Give your clients the ultimate favor for them to place on Sweet 15 and Sweet 16 event tables. They make perfect place markers and a fabulous way to showcase those special photos after the event! Ideal for Sweet 15's and Sweet 16's to use as table markers and for guests to take home as favors!